BETWEEN THE LINES, based in Livonia, Mich., entered its 24th year of publication with its January 7, 2016, issue. MARK ANTHONY DINGBAUM has joined the CLINTON FOUNDATION as deputy director of communications, digital engagement. FENUXE, based in Atlanta, entered its seventh year of publication with its January 15, 2016, issue. THE FIGHT, based in Los Angeles, entered its sixth year of publication in January 2016. 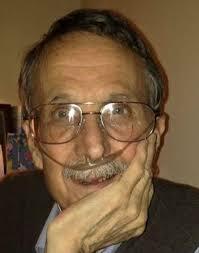 RAYMOND KENT FORDYCE, the well-known book buyer at LAMBDA RISING BOOKSTORE in Washington, D.C., died December 24, 2015, in hospice in Southern California from emphysema. He was 72. GAY CITY NEWS, based in New York City, entered its 15th year of publication with its January 7, 2016, issue. GAY SAN DIEGO entered its seventh year of publication with its January 8, 2016, issue. GLOSS, based in San Francisco, entered its 14th year of publication with its January 8, 2016, issue. GRAB MAGAZINE, based in Chicago, entered its seventh year of publication with its January 12, 2016, issue. ODYSSEY NY, based in Jersey City, N.J., entered its eighth year of publication with its January 7, 2016, issue. OUT & ABOUT NASHVILLE entered its 15th year of publication with its January 2016 issue. PHILADELPHIA GAY NEWS teamed up with local production company PersonalCast Studios for a Valentine’s Day promotion offering a free, professionally edited “Love Story,” showcasing personal interviews with couples about their relationships. THE PRIDE, based in Los Angeles, entered its second year of publication with its December 30, 2015, issue. THE RAINBOW TIMES, based in Boston, entered its ninth year of publication with its January 7, 2016, issue. 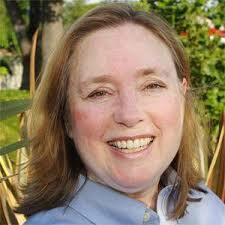 SAN DIEGO LGBT WEEKLY introduced new columnist PATRICIA BATHURST in its January 7, 2016, issue. Her monthly column, “Innovations in Recovery,” addresses the negative impact of addiction and mental health on the LGBT community. SOUTH FLORIDA GAY NEWS, based in Wilton Manors, Fla., celebrated its sixth anniversary with its January 27, 2016, issue. TAGG MAGAZINE, based in Washington, D.C., entered its fifth year of publication with its January/February 2016 issue. WATERMARK, based in Orlando, Fla., entered its 23rd year of publication with its January 14, 2016, issue. According to a recent Community Marketing & Insights (CMI) survey of LGBTs, Hillary Clinton topped Bernie Sanders by a seven-point margin, 48 percent to 41 percent. The question asked respondents, “Which candidate would you vote for, if the election were to be held today?” Answering the same question, Donald Trump captured two percent, with John Kasich and Marco Rubio, each receiving one percent. All other candidates received less than one per cent. CMI conducted the community poll of 563 LGBT survey respondents between Feb. 7-10, with all participants saying that they were registered to vote in the U.S and planned to vote in the 2016 presidential elections. Respondents haled from 46 states. In another finding, CMI’s poll found that the Democratic candidates were nearly evenly split on who would be “the most supportive of LGBT civil rights.” Thirty-one percent said Sanders, with 25 percent saying Hillary Clinton. Yet another 37 percent indicated that the two candidates are equally supportive, 5 percent are not sure, and two percent indicated that neither candidate is supportive of LGBT civil rights. When asked who of the Republican presidential candidates would be “the most supportive of LGBT civil rights,” the results tell an entirely different story. Seventy-three percent indicated that none of the Republican candidates are supportive of LGBT civil rights; six percent selected John Kasich; four percent Donald Trump, and the remaining candidates received two percent or less. Ninety-eight percent said that “supporting LGBT civil rights” was very or somewhat important. Ninety-eight percent indicated that “nominating LGBT supportive Supreme Court candidates” is very or somewhat important. Ninety-six per cent of LGBTs said that “addressing racism/racial inequality in the U.S.” was very or somewhat important. These civil rights issues were as important as improving the economy, at 98 percent importance. Eighty-nine percent indicated that “reducing or eliminating abortions” is not an important view of their preferred candidate, or is a view they disagree with. Eighty-seven percent indicated that “repealing the Affordable Care Act/Obamacare” is not an important view of their preferred candidate, or is a view they disagree with. Seventy-two percent indicated that “protecting gun ownership rights” is not an important view of their preferred candidate, or is a view they disagree with. Fifty-nine indicated that “stopping illegal immigration to the U.S.” is not an important view of their preferred candidate, or is a view they disagree with. Participants were also asked, “In which ways have you supported or do you intend to support your preferred presidential candidate?” Forty-six percent indicated that they have donated or would donate directly to candidate’s campaign, 46 percent forwarded or will forward social media, 24 percent have attended or plan to attend a rally or event, and 14 percent have volunteered or plan to volunteer to support their preferred candidate. David Paisley, senior research director at San Francisco-based Community Marketing & Insights, offered a perspective on the results. CMI has been conducting LGBT consumer research for more than 20 years. Its practice includes online surveys, focus groups, in-depth interviews and advisory boards in the United States, Canada, Europe and Asia. CMI’s research panel of over 70,000 LGBTs was recruited over a 20-year period from more than 300 LGBT media, events and non-profit organizations. This means that the results summarized here are representative of LGBT consumers who are out and who interact within the LGBT community, but are not necessarily representative of the entire LGBT community. PRESSING QUESTIONS: GED Magazine of Long Beach, Calif. Physical dimensions of publication: 5.5” x 8.5” — a digest-sized format. PPQ: What part of GED magazine is the most popular? Director of Sales and Marketing Christopher Jackson: We have created a diverse and eye-appealing magazine that is read from cover to cover. Some of our popular monthly columns include our city by city BarTab, celebrity features and our local NOW columns that highlight local well-attended events and fundraisers for organizations that otherwise do not have the budget to advertise their event. Jackson: GED magazine was a creative decision in developing a name to pursue a broad readership and market reach – Gay Entertainment Directory. Jackson: Overwhelming response and popularity of the magazine has produced a large interest with potential contributing writers and we simply cannot introduce everything in the print version of the magazine. Jackson: GED would not change one specific thing, but continues to evolve and improve its already proven model of an entertaining and informative publication that is consistently picked up by readers. PPQ: Do you see yourself as an activist journalist? If so, in what way? Jackson: No. We are providing resources and information but not preaching any agenda. PPQ: What advice would you give to anyone who may want to launch their own gay publication? Jackson: Do your homework. [Publishing a gay magazine] is a thrill a minute, but extremely hard work. 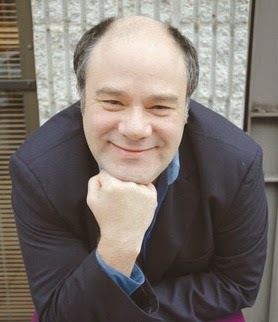 Mark Segal, publisher of Philadelphia Gay News, is the nation’s most award-winning commentator in LGBT media. His best selling memoir "And Then I Danced, Traveling the Road to Equality'" is available at amazon.com, Barnes and Noble.com or your favorite bookstore. This column can also be found at http://www.epgn.com/opinion/mark-my-words/10125-sentimental-times. In less than a month, Philadelphia Gay News will celebrate its 40th anniversary. That’s really something when you consider there are only two other LGBT publications in the nation that can make a similar statement. But even more amazing is that we have never missed an issue or a deadline, and we’ve had the same leadership since day one. So, since that leader was me, I’ve been thinking about those 40 years a lot lately. The beginning was not easy. We had death threats. People came into our office and destroyed it one evening by ripping out all the electrical wiring and what pipes there were. Our vending boxes were bombed, set on fire and had cars driven into them, yet we had that paper on the streets each and every issue, year in and year out. The PGN you look at today is the nation’s most awarded of all LGBT media. You might wonder how we got to this point from our meager beginnings. We knew from our very start that our mission was to inform our community and to give people who had different views a place to have dialogue with each other. We also knew that we were going to be a hard-news publication, not a “happy” newspaper, or newspaper lite. Our very first issue featured an interview with the highest-appointed out official in the nation, and the second with Pennsylvania Gov. Milton Shapp. That interview was the first time any governor anywhere in the United States was interviewed by LGBT media. Our political reporting is only one of many ways that PGN differed from other LGBT media. Our coverage of trans issues goes back to our earliest days. Youth issues were always on our agenda. And then there was AIDS. For many older LGBT people, the 1980s will always be associated with HIV/AIDS. For us on the front lines, it was sheer hell. For those at PGN who were warring about loved ones and friends, we had the double duty of reporting on the epidemic and trying to bring sense and calmness to a calamity. That was difficult when PGN discovered a police station in West Philadelphia that was keeping a list of people it knew had AIDS and then giving them “special treatment.” Despite threats, we ran that story, and the community got an apology from the city, and the list was destroyed. The community sometimes wondered why we continued to report on a story. That was never more true than with the case of Nizah Morris, the trans woman who ended up dead after a courtesy ride from police. To us at PGN, she has become a family member and represents what many trans people endure each and every day. Our more than 13 years of reporting and investigating that case has led us to court on many occasions, as we attempt to get records that have appeared and disappeared. No other LGBT media outlet has put the resources into a story for as long as PGN has — and we will continue to do so. That investigation led PGN to win a national award for investigative reporting, which put us in the same category as the Wall Street Journal. And just this week, once again we were informed that we had won seven journalistic awards from the Local Media Association. Thank you to a staff that has continued to live up to our motto, and thank you to our faithful readers who might not always agree with us, but who have continued supporting us. We promise you that we’ll continue to make you proud of this publication, week after week.